The “March for the Murdered Million” was held on Sunday 24th July in cities across Australia and the UK. 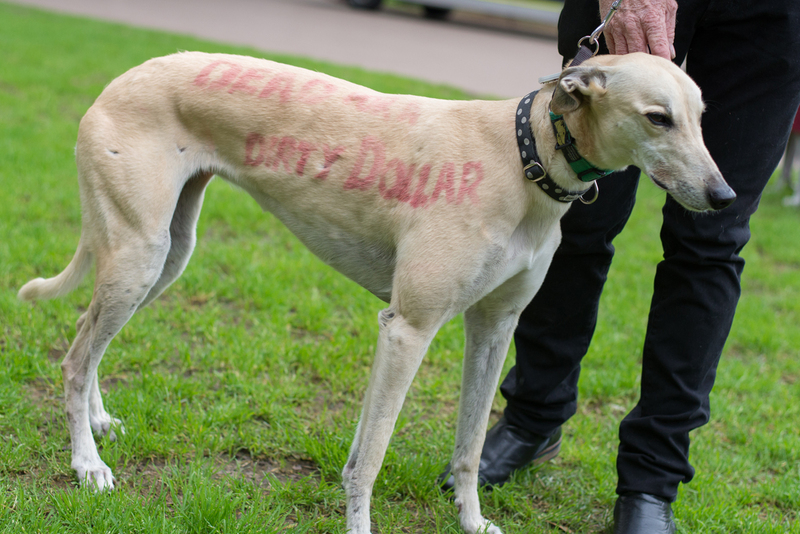 Thousands of Greyhound owners and animal welfare groups marched around the country to pay their respects to the millions of racing Greyhounds who have unnecessarily died in this cruel industry, since the inception of Greyhound racing. In NSW, the "March for the Murdered Million" remembered the 70,000 healthy dogs killed over the past 12 years for being too slow, drowned at birth or euthanised after injuries. 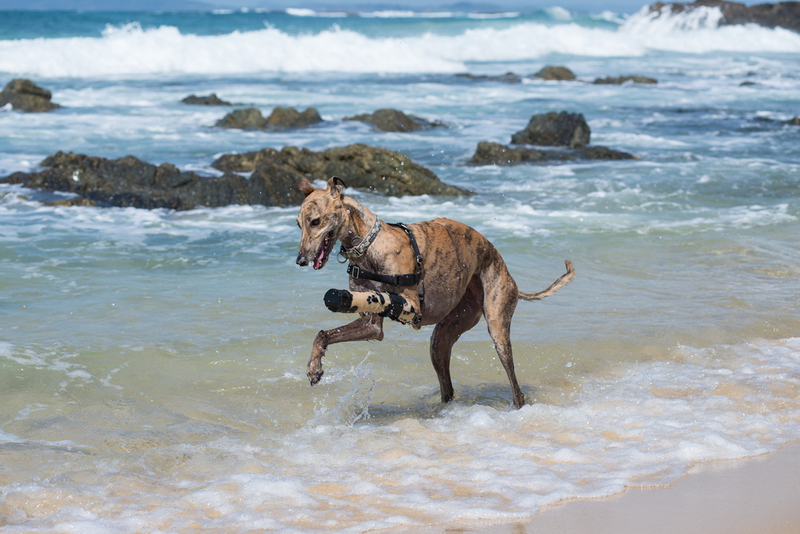 This event also celebrated NSW Premier Mike Baird's landmark decision on July 7, 2016 to legislate and ban Greyhound racing in NSW, with the ACT following suit. 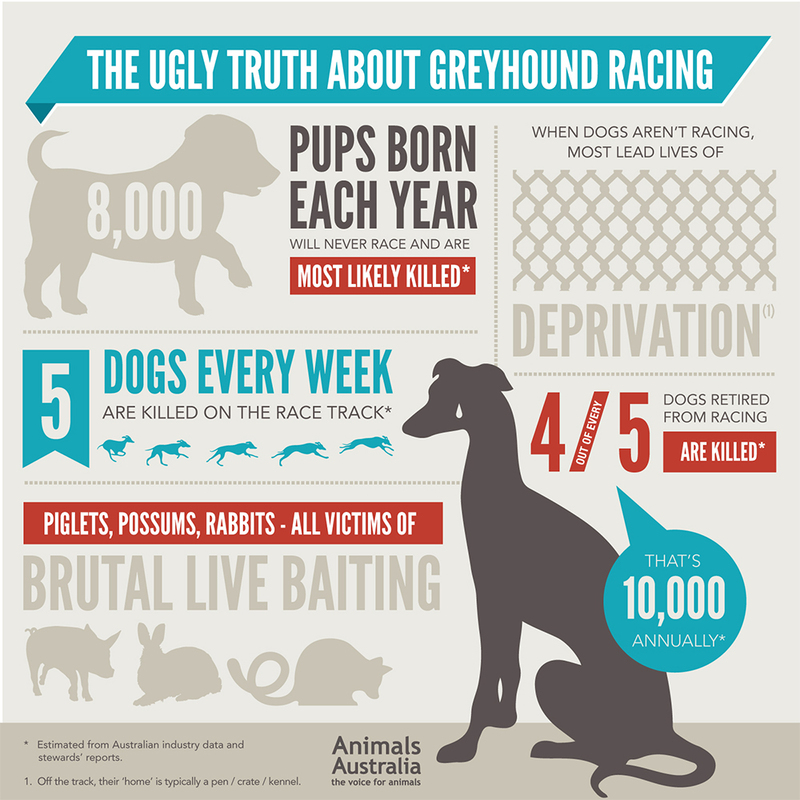 From 1 July 2017, it will be illegal to race and breed Greyhounds in NSW. "The public cannot continue to provide enough homes for the sheer volume deliberately farmed by the industry in the hope of finding a winner." says Greyhound rescuer Nora Anderson. 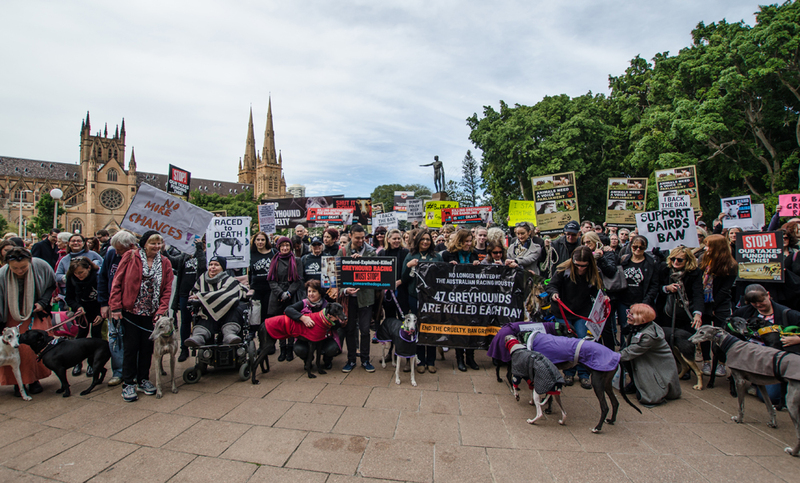 In Sydney this rally was hosted by the Anti-Greyhound Racing Network NSW, whilst other marches were held simultaneously in all other State capitals with the support of Animals Australia. Groups in Ireland and New Zealand will also be marching on this day. Participants were encouraged to wear black attire or at least a black arm band to strike a chord and deliver a strong message that no dog losses or injuries through racing are acceptable. 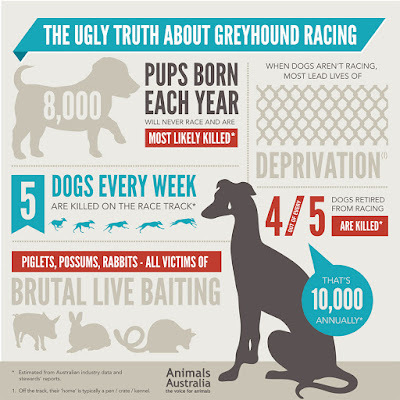 As it is still facing strong opposition from vested interest groups, we all need to ensure that the proposed ban on Greyhound racing is signed into legislation by parliament. Where: Hyde Park (near Archibald Fountain) - start & finish. More details on this event (including where to park) are available on the Event's page.